That's what I get for allowing things to drag on so long. It doesn't help that I got completely sidetracked by the Pokemon/Droid/Sherlock exploration attempt. You're currently at the El-Ray - the upper level of a hidden casino/bar. You were trying to get information on what's going on in this area and had come into possession what some are calling kyber crystals and others believe have other uses. In the interim, a member of your team had been captured. You came to the El-Rey as the most logical point as nothing else in this little town seemed the least bit relevant or warranted the attention of so many Mergers. In the bar itself, you have seen what must be a concealed entranceway to the lower level. Having sent the Pokemon, Sherlock and a droid down the ventilation shafts, you discovered Kar'Anna seems to be free and mingling downstairs. You're currently talking with someone who identified herself as Little Knife, pondering whether or not to venture into the lower levels. Little Knife is currently being accosted by someone who claims she owes him a drink. Also, Amy wants to burn the place down on general principles and is willing to give arson lessons to the space-jockeys. . I really need to catch up and post something. FYI, I'm out of town the next few weeks with spotty internet access. 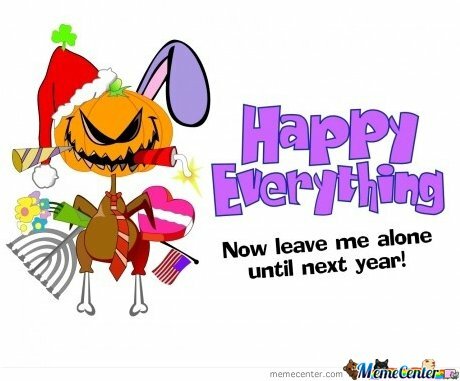 If I don't get to otherwise say it, Happy Holidays. A little tangent...I did some fiction writing in the Merged Universe. Not much yet, just the first part of a hopefully longer story if I can find the discipline. I like it, it's sorta how I'd see therapy sessions with Amy (She gets them regularly, due to her force sensitiveness). The latest stress of real life has alleviated. Although I don't expect to post much today and tomorrow, I will definitely be getting back to this shortly. Just to confirm, are people talking about our plans in front of Small Knife (who's sitting at the table) and the guy demanding a drink (who's standing right next to our table)? Amy is doing a combination of telepathy and actual speak. She's also pulling a Rocket Raccoon with the drink demander due to her having a very bad day and not feeling diplomatic at all. It<d be both, no ? I know Amy hasn't. She's just going by Kar-Anna's word to trust her. Within reason of course.